Taco Del Mar: Have You Eaten Here? $19 for all 5 of us to eat? Sassy 8yrold: “Why is it all decorated in Hawaiian?” “Good. I’d like to have it another time. 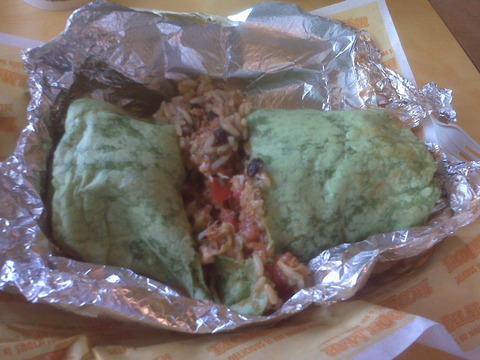 I shared my Mondo Fish Burrito with the 11yrold, cuz I could tell it was going to be WAY too much for me. And WOW. I don’t usually order Fish burritoes but before we went I asked the Twitter world to tell me what they liked the best and several tweeps said DO NOT LEAVE without at least tasting the FISH Tacos. 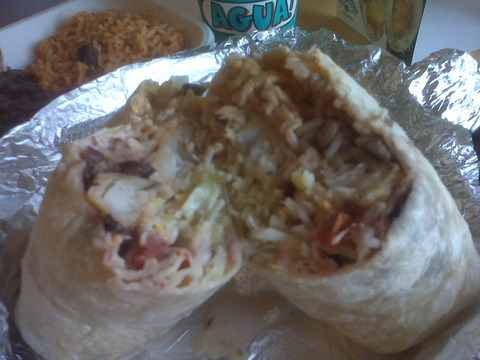 I am officially camped in the Fish Burrito/Taco side. I don’t know what was in the White Sauce, but make sure you get it on yours!! Kids Meals $3 (great deal huh)? (And more than enough to share)! 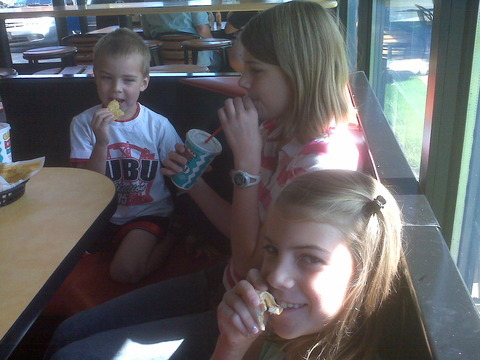 We ate at the Newly Opened Wilsonville, Oregon Taco Del Mar. It’s right off the Boone River, what a pretty little suburban town. It’s 4 miles south of the Fancy Schmancy Portland Bridgeport Shopping area, and 11 miles north of Woodbridge Outlets (much more my kinda style). Oh and cuz it’s totally important to my world: The bathrooms passed the smell test!